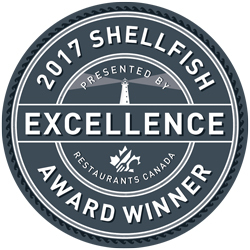 We are so happy to announce that over the past weekend we were selected as the recipient of Restaurants Canada’s Shellfish Excellence Award . The plaque was presented by Shanna Munro, Restaurants Canada President & CEO during The PEI Shellfish Festival in Charlottetown on Saturday September 16th. 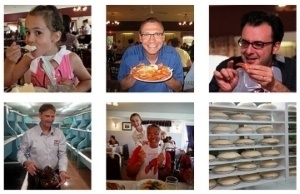 This award honors a PEI operator that has demonstrated a significant commitment to the quality, service, promotion, and sustainability of shellfish. As the winner we will receive: a featured article in a 2018 issue of Menu Magazine, a $500 cheque , a plaque, and an official seal for use on all menus and marketing material. We would like to give thanks to our nominator for putting pen to paper, the panel of judges who recognized our commitment to the Industry and also our friends and patrons who have supported our journey over the last 59 years.